I bet you could use Washi tape for this too! 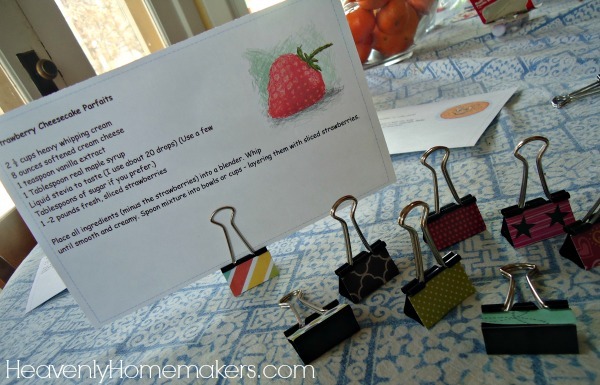 Then you wouldn’t even have to cut paper to size and glue it, you just cut the tape and stick o_O Love the simplicity of this recipe card holder idea! 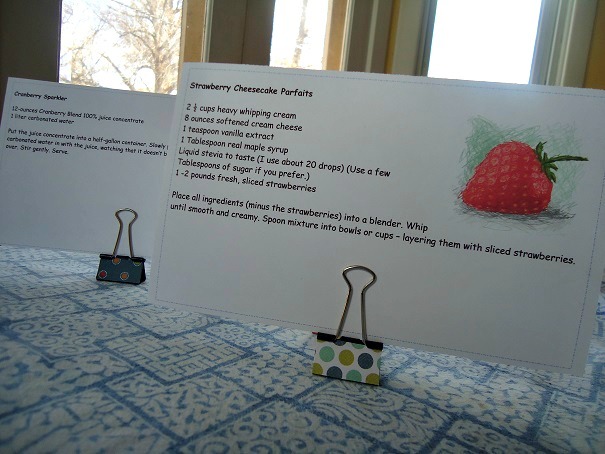 These would also make cute place card holders when you decorate your table for a special occasion……., simple idea with LOTS of different applications. Love it! Oh my gosh, Laura, these are brilliant! 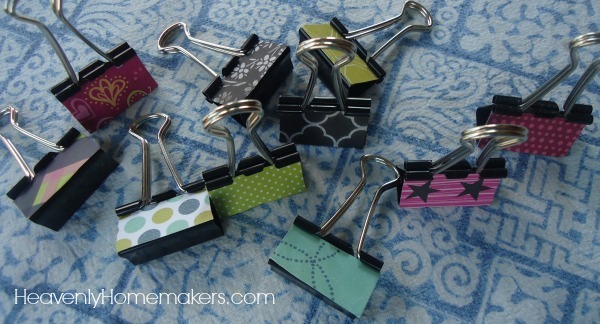 My husband is an attorney and the one thing we have around here is an unending supply of binder clips in every size available. 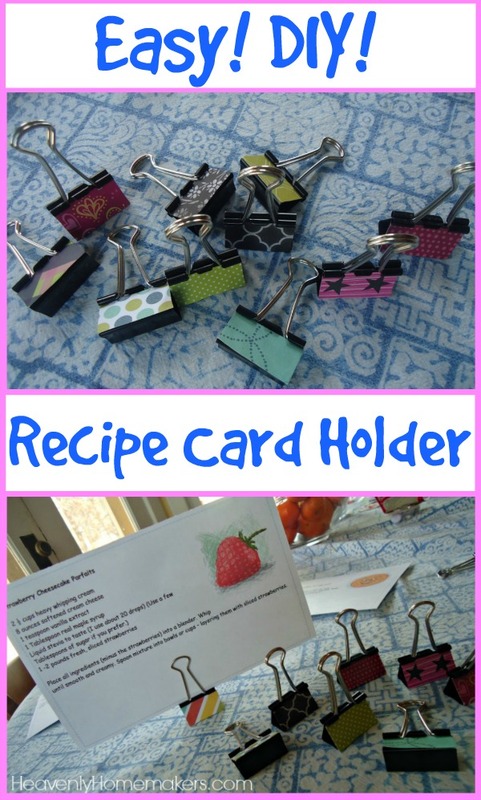 My daughter wants to make some to add to birthday gifts for her friends! This is a great idea, but I am beyond lazy. I didn’t even decorate mine! :-) Just opened up the clip and used it with the metal exposed. (gasp!) LOL! Thanks, Laura!